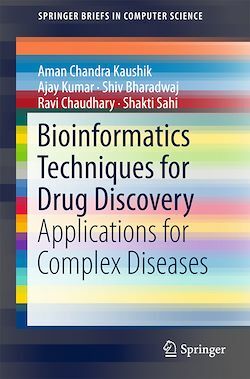 The application of bioinformatics approaches in drug design involves an interdisciplinary array of sophisticated techniques and software tools to elucidate hidden or complex biological data. This work reviews the latest bioinformatics approaches used for drug discovery. The text covers ligand-based and structure-based approaches for computer-aided drug design, 3D pharmacophore modeling, molecular dynamics simulation, the thermodynamics of ligand-receptor and ligand-enzyme association, thermodynamic characterization and optimization, and techniques for computational genomics and proteomics.